A phono amplifier with 106dB dynamic range. The iPhono2 will take any audio system to a whole new level of enjoyment. It is a phono amplifier that allows any cartridge, at any price, to be accommodated optimally. The maximum gain is now an astonishing 72dB to handle low output MC cartridges. Even the legendary Ortofon MC-5000 does not require sound-degrading step-up transformers. 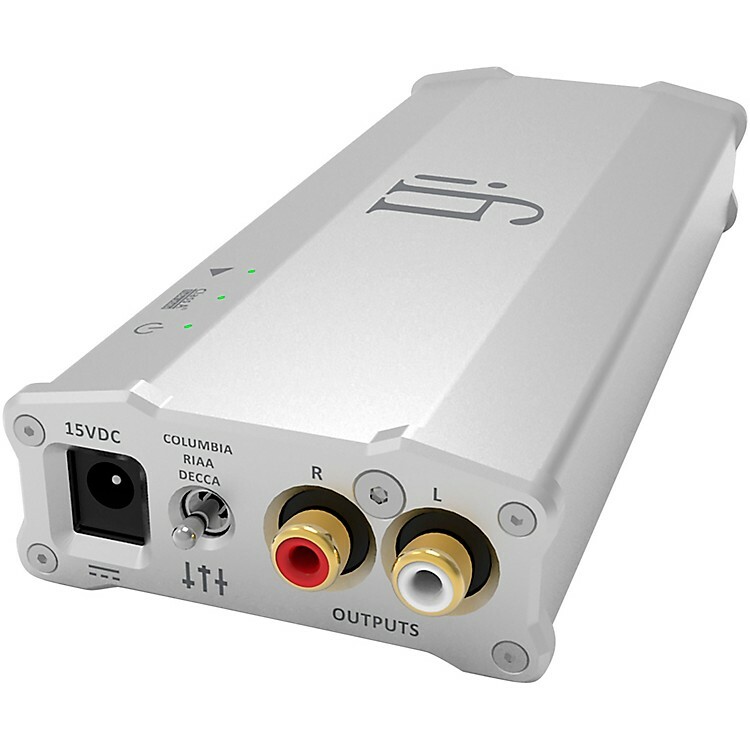 The iPhono2, with its 106dB dynamic range, builds upon the original iPhono by offering 15dB more dynamic range than the best of the best phono stages available. With infamous test tracks like Tchaikovsky’s 1812 overture, the dynamism and wide-open sonic range is jaw-dropping.